This is the iconic moment two athletes from countries at war stopped in a brief second of unity and took a selfie with one another. 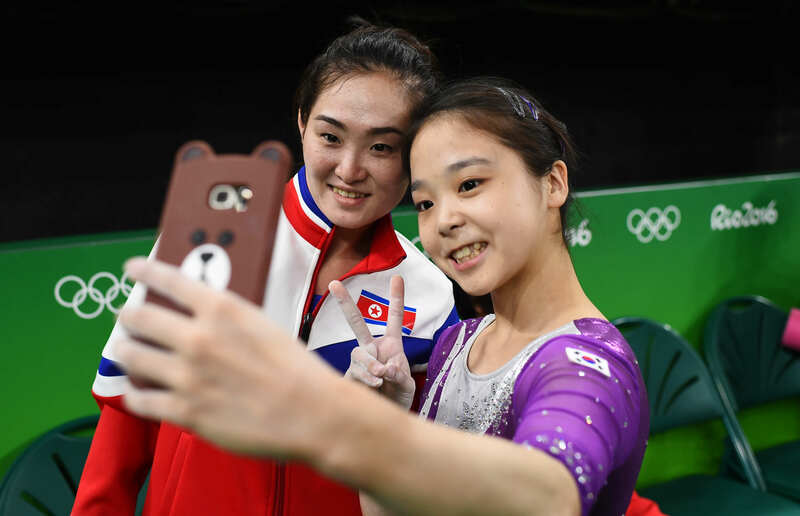 The gymnasts from North and South Korea were performing at the Rio Olympic Games and were caught on camera numerous times talking with one another and laughing towards the end of their routines – but it was the selfie which is being praised the most, reports the BBC. For the past few years, tensions between the North and the South have been endlessly rising with the North threatening to attack and invade countless times while the South have practiced ‘war games’ against the North with the U.S. But it is these images of Lee Eun-ju of South Korea and Hong Un-jong of the North which serve merely as further proof that war is nothing to do with people but to do with politics and leaders. Others have claimed that the images of the two women capture the spirit of the Olympic Games. This is why we do the Olympics. 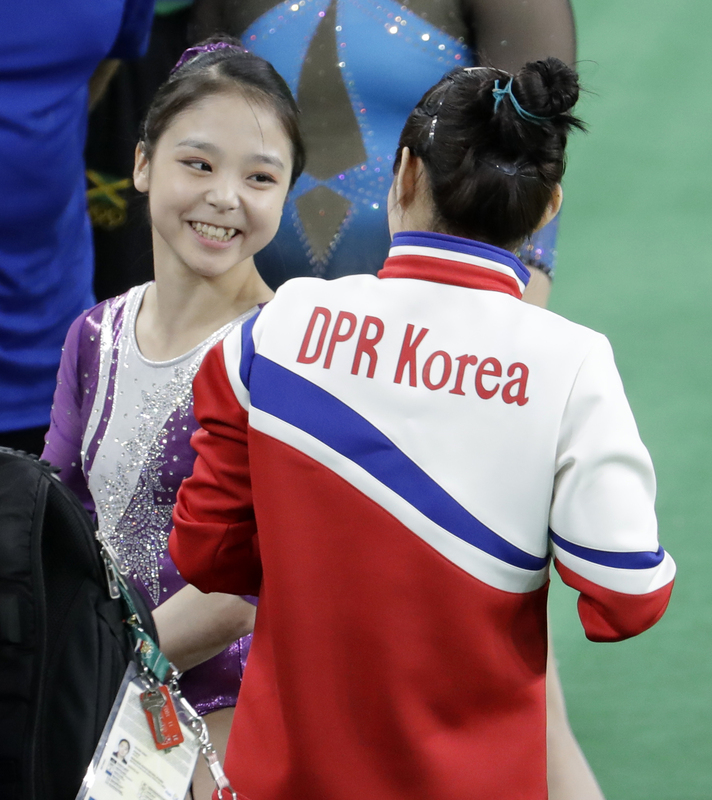 However it isn’t all bright and rosy as many are worried that Hong Un-jong could face some serious trouble when she returns home to North Korea.